HC of Delhi announces it L-G as administrative head of delhi, setback for Kejriwal : On Thursday, the Delhi High Court held that the LG is the administrative head of NCT and the government of AAP contention that he is bound to act on the advice of Council of Ministers was “without substance”. The decision comes after months-long turf war between the chief minister of Delhi Arvind Kejriwal and LG Najeeb Jung for the halter of Delhi. 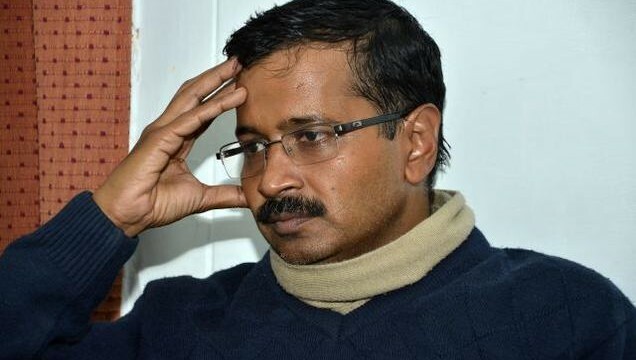 A bench of Chief Justice G Rohini and Justice Jayant Nath dismissed the plea of AAP Government challenging the government of Centre 21st May 2015, notification giving absolute powers to LG in appointing bureaucrats in the national capital. The court also quashed several notifications issued by Kejriwal after returning to power last year, saying they were illegal as they were issued without concurrence of LG. In its 194 page judgement, The bench said that the government of AAP contention that the LG is bound to act on the advice and aid of Council of Ministers was without substance and cannot be accepted. After the verdict of the High Court, Rahul Mehra who is the Delhi Government’s senior standing counsel said that AAP’s Government will immediately file a Special Leave Petition against the judgement of High Court in the Supreme Court. The court said in its verdict that service matters fall outside the jurisdiction of Delhi Legislative Assembly and the LG exercising the powers in such matter is not unconstitutional. The bench held the government of AAP order appointing Commission of Inquiry in the Delh Cricket association scam and CNG fitness scam as illegal since the same was issued without accord of LG of Delhi. The court also said that the appointment of Nominee Directors of Delhi Government on Board ofBSES Yamuna Power Ltd, TPDDL and BSES Rajdhani Power Ltd by the Delhi Power Company Ltd, on the basis of recommendations of the Delhi Chief Minister is illegal without communicating the decision to the LG for his views. However, the high court said that the LG of Delhi is competent to appoint Special Public Prosecutor under Section 24(8) of CrPC. Such power has to be exercised on the advice and aid of the Council of Ministers in terms of Clause (4) of Article 239AA of the Constitution. Earlier, The High court of Delhi had reserved its verdict on various aspects including interpretation of Article 239AA of the Constitution which relates to special provisions with respect to Delhi. The issues involved the petitions include revision of cirlce rate, DDCA scam and CNG fitness scam. On 28th May 2015, the government of AAP had moved the high court of Delhi, a day after the Central government had approached the Supreme Court. The Central government challenged an order of the high court which had termed as suspect the notification of the Union Home Ministry barring the ACB of the city government from acting against its officers in criminal offences. During the hearing, the Central Government had told that the High court that Delhi remained in its control as it was not a full-fledged state.